This posthumous album was released exactly 1 year after Elliott Smith stabbed himself in the chest, and bled to death. The lyrics on this album are so haunting. Suddenly something like "Give me one good reason not to do it..." doesn't seem like an empty threat, given that the guy actually went and 'did it'. With song titles like "A Distorted Reality is Now a Necessity to Be Free", "Strung Out Again", and "A Fond Farewell" the majority of the lyrics on the album sound like they're coming from a guy that plans on killing himself, and "...can't prepare for death any more than I already have." Download the entire album for free here, then go out and buy a t-shirt or something. 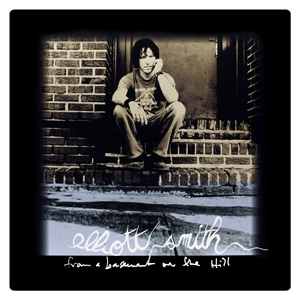 Other great Elliott Smith albums include "XO", and "Figure 8".